This podcast features Kenny Rausch, USA Hockey's Director of Youth Hockey. 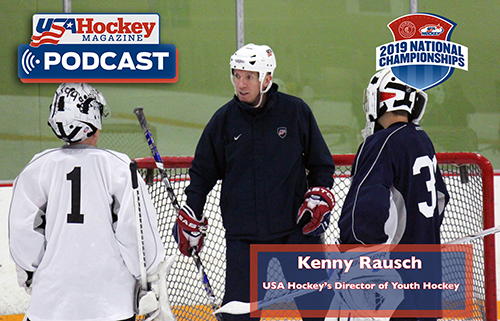 Rausch talks about the lead up before Nationals kicks off next week, dives deep into the selection process and brackets for each tournament, a look into the 15-only tournament since its incorporation and much more in the latest episode of the USA Hockey Magazine Podcast. Follow us on Facebook, Instagram, and Twitter for more from USA Hockey Magazine. Stay tuned for our next podcast, which goes live Thursday, March 28.